Working on stories from New Zealand took an interesting turn: I got in touch with Esther who is native New Zealander and we exchanged guest posts. Esther’s previous post on everyday life in NZ is here and a short summary of my first visit in NZ is here. 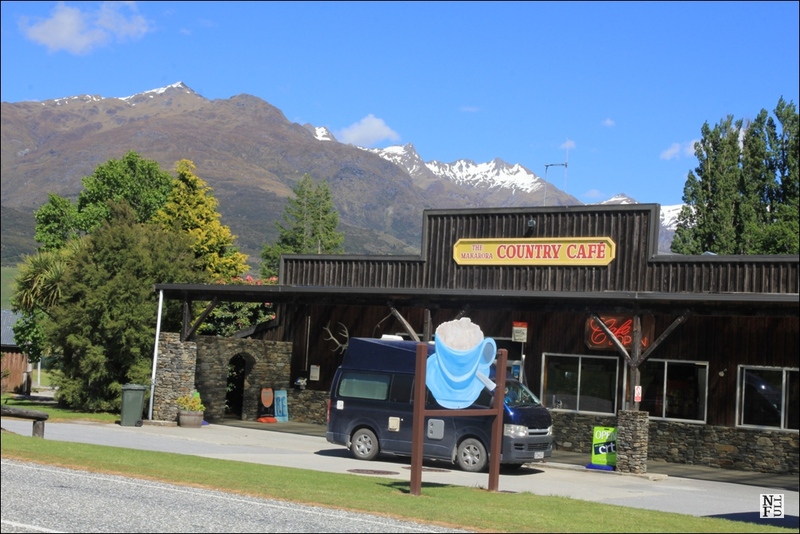 We felt there is much more to talk about so we came with few questions on camping in New Zealand that might be helpful if you think about going there. And so here are 5 questions on camping in New Zealand with one reply from each of us. [E] stands for Esther and [A] stands for Agata. 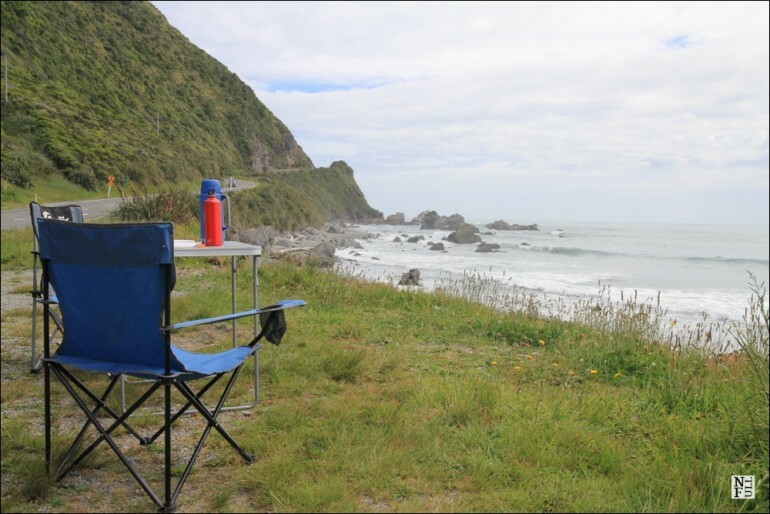 Q1: What is the best thing about camping in NZ that you can’t have when staying in hotels or B&B? [E]: You’re genuinely closer to nature (for better or worse – watch out for those bugs!) and that can be a truly awesome experience. [A]: I think that driving in a campervan instead of an ordinary car or public transportation transforms the holiday. It is less comfortable but at the same time you don’t need to pack/unpack every night because you bring everything with you. After a month you’re attached to your camper, no matter what! 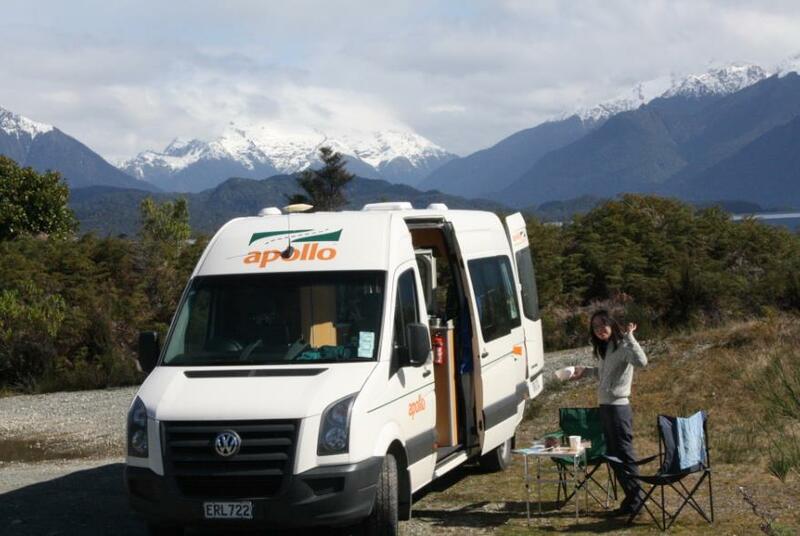 Q2: What is essential when booking a campervan? [E]: Be informed. Read all the fine print. Know exactly what you’re getting into. What does the insurance cover? Are you allowed to have another driver and what are the age limits? What will the bond cost? Is there a limit on how many kilometres you can drive? Are there any roads on which you are not allowed to drive? Will you need items like snow chains, and are those included? Is it diesel or petrol (will you need to pay the diesel fees?). Is bedding/cookware included? Is it manual or automatic? No question is too small or stupid to ask. [A]: I agree with Esther on being informed however you can’t know everything in advance so be prepare for the unknown. I spent hours before I picked up a campervan and even though I had an impression I don’t know everything I should have. I think a bit of flexibility is necessary to enjoy camping. And obviously, do it in advance! Q3: How do I pick up the best solution for me? [E]: As you probably know, amenities and affordability generally don’t go together. Think about how many people you need to accommodate, what season you’ll be travelling in and what kind of comfort level you desire. 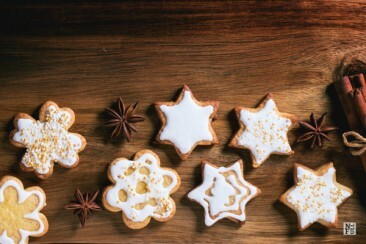 Decide what you can compromise on and what you can’t live without – that will dictate your options. 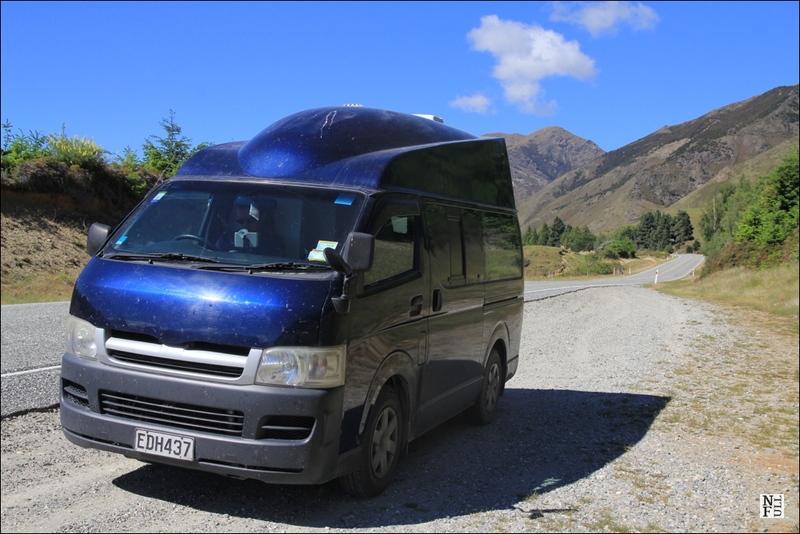 Budget campervans are basically just large vans, providing a way to get around and a place to lay your head at night. At the high end you get campervans with foldout beds, table and chairs, TV, kitchen, heating/AC, and of course, a range of campervans in between. 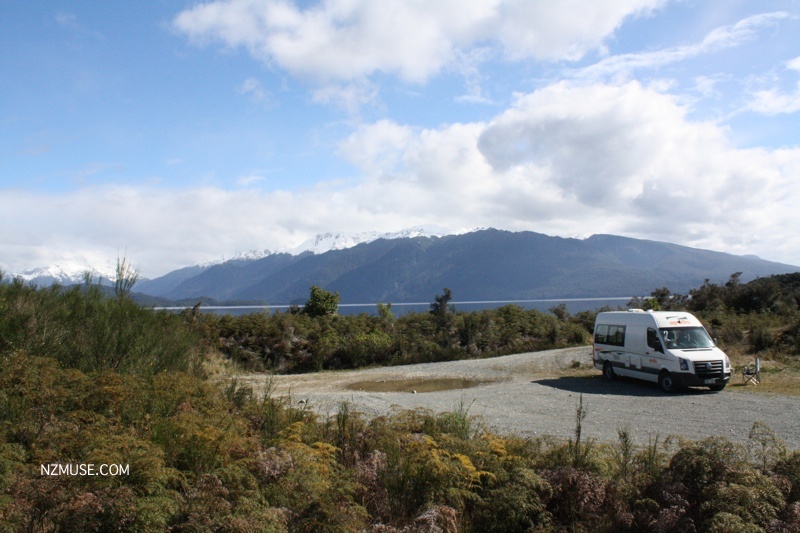 When we campervanned around the South Island, I wanted a fully-contained campervan (ie one with its own toilet facilities) and with cooking facilities so that we could camp anywhere – the beauty of traveling this way is the sheer flexibility to go at your own pace. If your campervan doesn’t have bathroom facilities you will be technically restricted as to where you can park/camp overnight. (Camping fees, even just to park a motorhome, are surprisingly expensive sometimes.) I’m also personally wary of public restrooms, but that’s a separate issue. [A]: Yes, knowing your own needs is essential. Don’t lie to yourself about your sense of comfort because there is a serious risk you’ll get disappointed. I would say that highly developed network of camping sites is a good way to get a bit of comfort every couple of days without quitting your camping holiday plan. Q4: What’s most beautiful and worst camping site you have ever been to? [E]: You know, I’ve never had any terrible camping experiences. The worst was probably just being stuck inside a campervan because of rain (fortunately I’ve never been rained out while camping in tents). 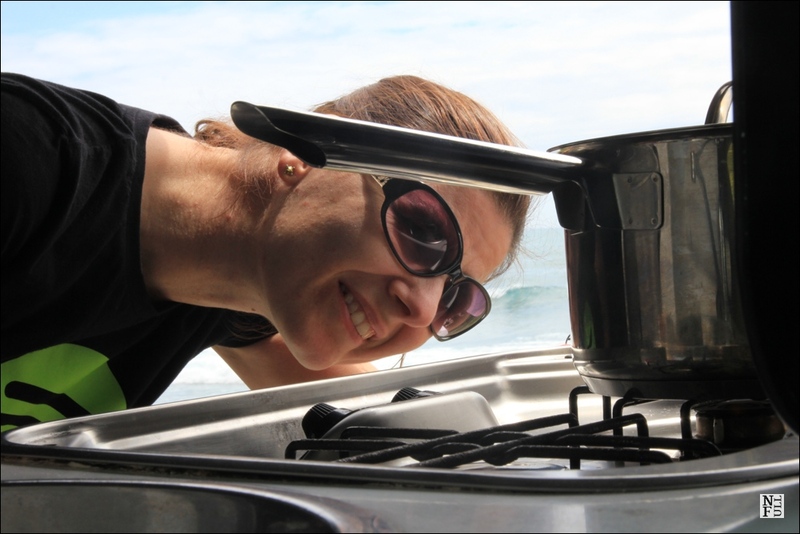 I’m definitely not a highly seasoned camper and camping isn’t my usual style – I’ve been to a couple of school camps, I’ve camped out a handful of times with friends for various reasons, and we camped out in our van for two weeks in 2012 around the South Island. I really enjoyed the spot by Lake Ellesmere where we parked up on our first night – the sky was glorious as the night set in – but the campsite at Milford Sound was probably the most beautiful as it’s right by the mountains. [A]: I totally agree with Esther: the view from camping site is much more appealing than the quality of services. The best one I stayed in was Franz Josef Top 10 Holiday Park. The view on glacier was breathtaking! I saw it in early morning just from the camper window and that was awesome! There were few less spectacular. I think the one at Lake Tekapo was my least favorite. I checked each site in advance on various sites like NZ Travel Review and I excluded each camping site that users were complaining on sandflies ;-) Following Esther’s suggestion I’m giving here few more websites with camping related services: Camping Finder, Camping NZ, TOP10 Holiday Parks, Kiwi Holiday Parks. Q5: Any regrets after your camping holiday? What would you do differently? [E]: No regrets I can think of. It all went very smoothly. The only thing I would hopefully have done differently is convinced my partner NOT to drive onto the beach, because we very nearly got stranded – we got stuck in the sand and would have had to pay a hefty fee for towage if two kind locals hadn’t seen us from the road and turned up in their ute to help pull us out. That was an adventure, but a rather stressful and potentially expensive one. [A]: Although I did not drive onto a beach (been tempted though;-) I think next time I’ll go for a smaller option provided by Juicy Campers: a sort of car with berths in back but with no toilet facilities. Easier to drive and park plus cheaper in both: renting fee and fuel consumed. If you have any questions regarding camping in New Zealand do not hesitate to ask in comments down here. We will try to answer all of them! I never did the camping van thing in NZ but I did use a lot of campers facilities which were dirt cheap years ago. I like the idea of a roof over your head and a little more room than a tent. There are some places in the extreme south I’d love to visit and a campervan would be the way to go. Yes, camping is a very good idea in NZ. I hope to do it again! Yeah, I cannot imagine sleeping in a tent way down south in the middle of winter! I agree with your response to #3. We do lie to ourselves sometimes, esp when we think we can save money on accommodation. I’ve never done a camper van but the flexibility and ability to go at your own pace is attractive. I think a certain level of flexibility and openness is crucial in camping. Otherwise it won’t work.